Dubai, United Arab Emirates: ME NewsWire: RAKtherm® the leading and internationally certified brand of innovative PPR and PEX piping systems, has devised its Solid Growth Plan to increase its international footprint in response to growing global market demand for piping technology solutions. The three-pronged plan comprises investment in capital expenditures, market dominance strategies, and product innovation which has resulted in a 34% increase in production capacity. This has ensured adequate global supply, strengthening of resources for wider market penetration and reinforced an already extensive distribution network in 35 countries worldwide. Mr. Ali Hashim, Chairman of Hashim Group said, “Having established ourselves as market leaders in the global arena with a portfolio that boasts the world’s most versatile and comprehensive piping systems to provide the LUXURY of piping systems to WORLDWIDE, we have realigned our focus this year to leverage the potential of global markets. We are preserving and expanding our market territories by developing the latest MEP technology solutions to meet plumbing challenges. Furthermore, in 2017 we will be launching a new range of piping systems developed by RAKtherm. “Investments to the tune of $200 million in capital expenditures which we announced last year is for technology enhancement, equipment modernization, and for launching of the new innovative piping systems from RAKtherm”, added Mr. Hashim. RAKtherm uses advanced German technology to manufacture and deliver the most modern high-performance piping systems with a service life of 50 years to support major MEP projects across GCC, North and South Africa, South and East Asia, and Europe. RAKtherm products are engineered and manufactured with high precision and are tested, conformed and certified by DVGW, CSTB, SKZ, HY, and TUV, affirming the highest level of efficiency, functionality and performance. 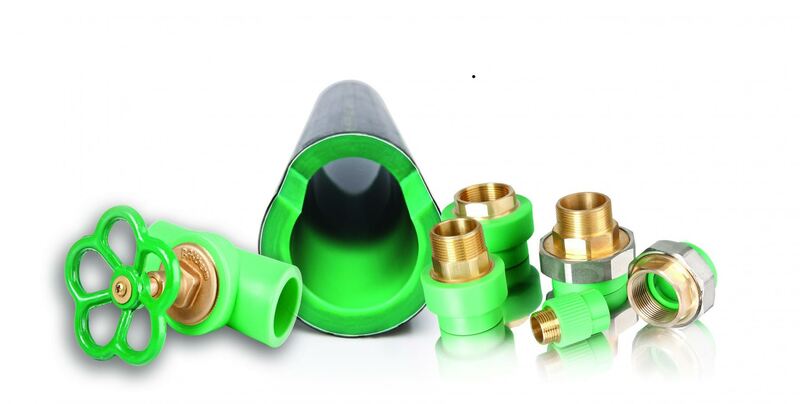 RAKtherm set a new industry standard with the launch of anti-UV fittings registered by the German Laboratory Institute and continues to be the only manufacturer with this product offering. With a strong focus on efficiency and functionality, RAKtherm launched a new and innovative range of fittings and accessories earlier this year and continues to focus on modernizing its product portfolio and advancing piping system standards in the MEP industry. RAKtherm, part of Hashim Group, was established in 1963 in Saudi Arabia. RAKtherm is the flagship division and pioneer of integrated PPR, PEX, anti-UV, and Reinforced piping systems.